This new year brings a new challenge for us SCCM administrator. The Speculation Control vulnerability (aka Spectre and Meltdown) affects many modern processors and operating systems and is considered critical to patch. The first challenge is to monitor who is vulnerable in your organization. The second one is to understand this beast and to remediates it. The important thing to know here is that a machine needs more than only a Windows OS patch to be compliant. There’s also a hardware level firmware updates to apply. This blog post will focus on the monitoring part to be able to show your management if you’re compliant or not. We also included a free report to download in order to track your Spectre and Meltdown compliance level. You can jump at the end of this post if you want to download it and skip the reading. 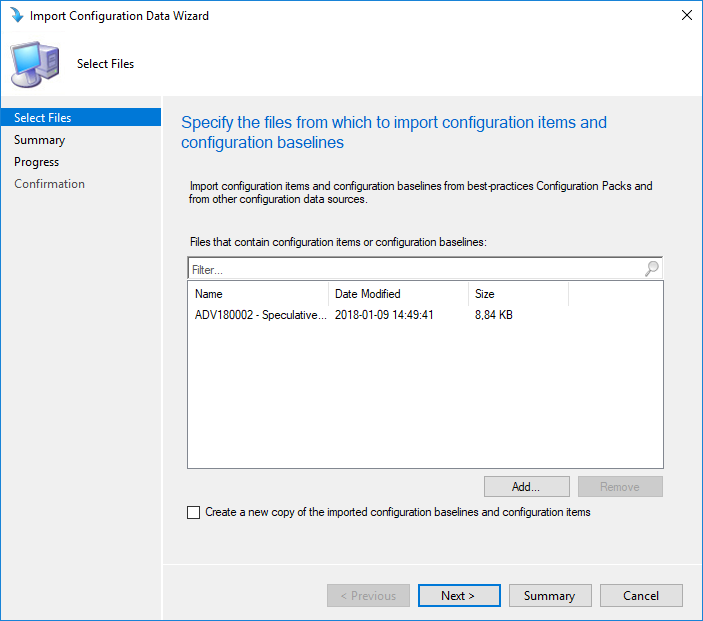 Luckily for us, Microsoft PFEs, Ken Wygant make the dirty work for us and has created an incredible job in turning a detection Powershell script into a ready-to-import SCCM Configuration Item and Baseline. They did a pretty good blog post explaining their work and we’ll use their CAB file in order to show you the step-by-step process in order to use it in your organization. The first step is to download the CAB file. 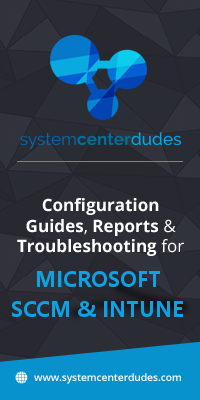 [Edit 01/15] Microsoft has released a new Configuration Baseline available on Technet Gallery. The new cab file will create only 2 CIs instead of 8 but the blog post is still relevant. We will now deploy the Configuration Baseline to a test collection in order to validate it. 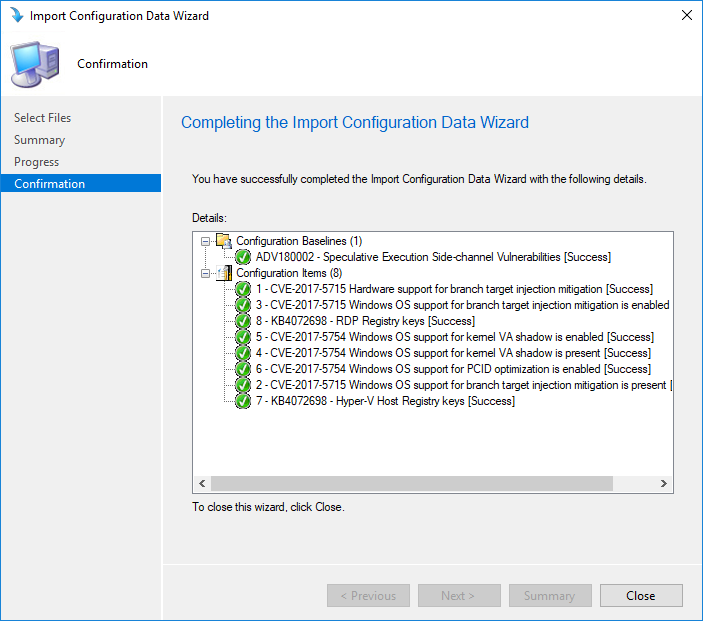 In the SCCM console, the compliance statistics will begin to populate. This will confirm that your work has been well made. The console statistics are basic and doesn’t permit to know which machines are compliant or not. We’ve created a simple report to let you know the list of machines and their compliance state. 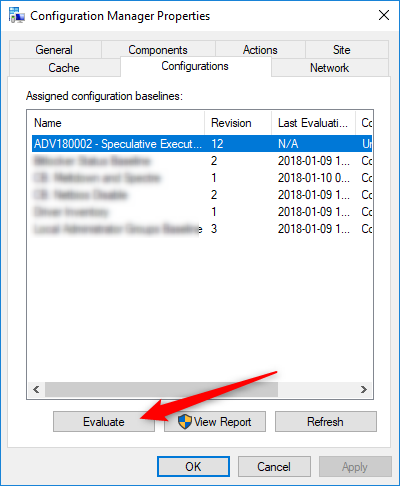 This report will ask which Baseline to show, just select the baseline we just created in this blog post to see you Spectre / Meltdown statistics. You can download this free report by visiting our product page. The Asset – Compliance State report is available in the Report / Asset Section. 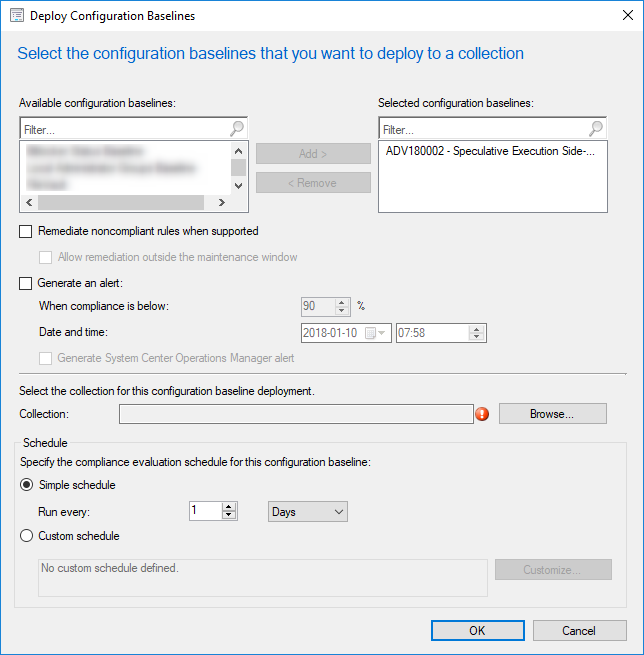 How do I set the configuration baseline to auto remediate any systems that report back in as non compliant? 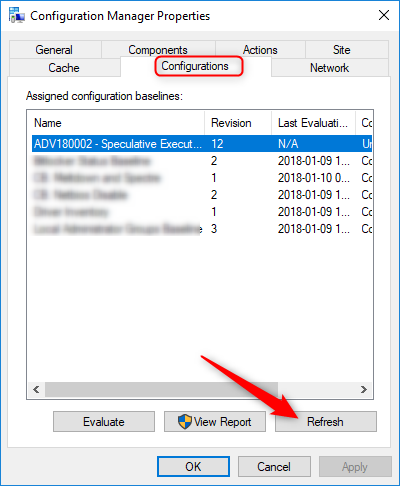 can you guide how to enable remediation for this issue ? 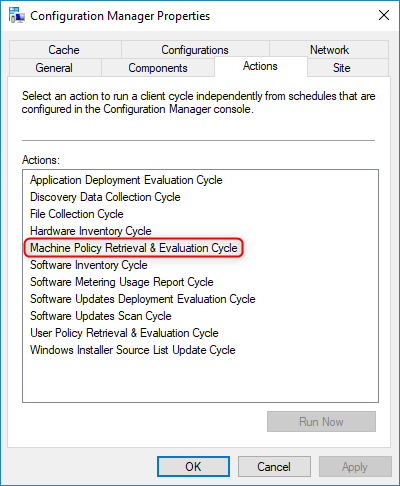 Followed guideline, and my machine is showing the configuration, but when I run the report I get “No Device Found”. Mind you I did all this within 5 minutes. Is there something I missed? Im Baseline-Parameter fehlt ein Wert. So this just monitors- is there a baseline to add the keys? Is there any way to breakdown the reporting to show the Firmware and OS layer vulnerabilities separately? I need to be able to show my leadership when the Windows update patches are applied and when the firmware patches are applied to show our progress. I second this.. the report would be more useful to have a break down of OS, Browser, Bios etc..
Do you have a write up on how to use your reports after downloading? Any obvious reason why this would be showing the “invalid reference in content” $ “The CI contains a missing or invalid CI reference”? Both Windows and hardware were updated and patched here so what gives? Are the patches not fixing the issue or is the baseline wrong? Just shows up as an “error” on my test system. Ideas? While Powershell is free to run on my workstations, our users desktops not at all, so how would I get around that as well. 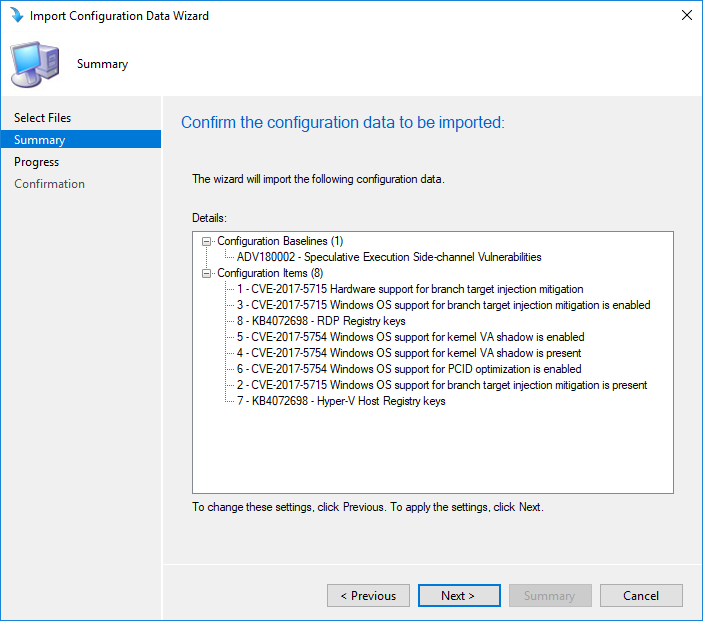 See Monitoring / Deployment in the SCCM console and get the error code. report is giving strange error: https://i.imgur.com/UbKFjTE.png . What data source should be selected? My Compliance State is “Error” , I”m using the new 2 item baseline. Do you think that’s also a powershell execution setting problem? Weird, instead of 8 configuration items only two showed up. Did I download the wrong file? 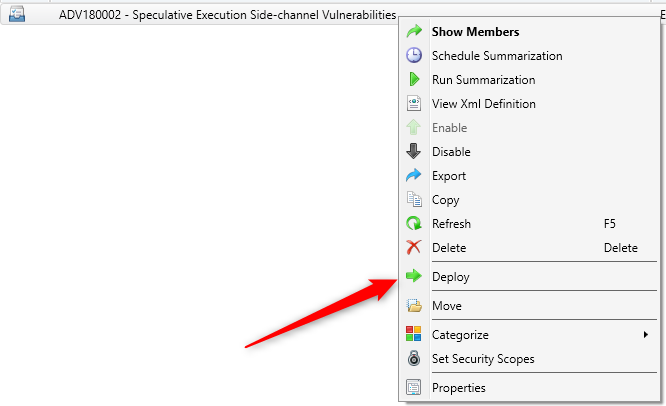 What is your PowerShell execution policy in your Client Settings? (Computer Agent). after changing it to Bypass, everything work! 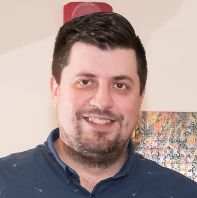 baseline has been created successfully and since Powershell is blocked in our environment not able to evaluate this baseline can you please suggest what I can do in this case. or can you give me with VB script? it will be the grate help. We are not the editor of the script. 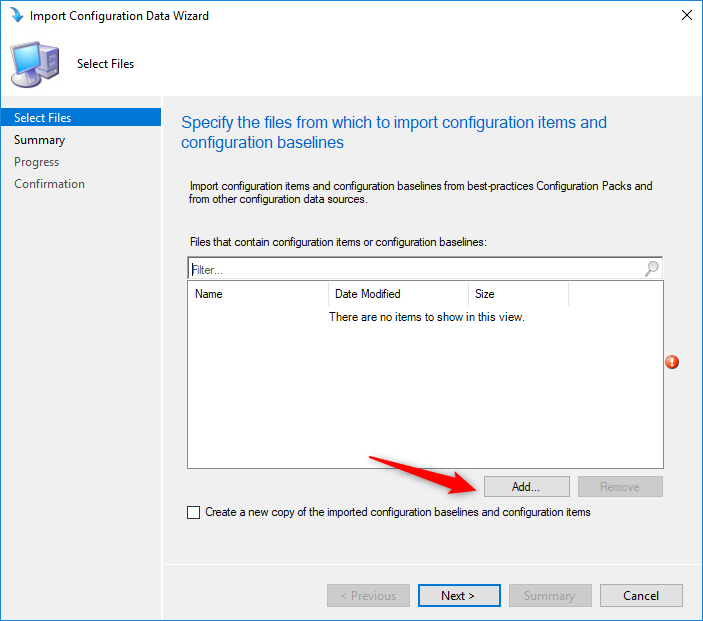 We instruct how to add the baseline (script) into SCCM. I’ll update the article soon to reflect the new Baseline Version. Thank you. Sorry, haven’t tested it on 2007. Is the Baseline can use used for Servers Monitoring ? Hello – Does this apply on the Worksations OS as well ? Like do we need 3 different Registry entries available on the Windows 7 OS ?